The Leadership Judgement Indicator 2 (including Standard LJI-2, Global and Sales versions) was specifically created to measure the level of ‘wisdom’ that the respondent uses in decision-making. Leaders at Board level and management; anyone who has leadership responsibility. English, French, German, Italian, Finnish, Czech, Portuguese and Russian. Comprising a series of decision-making scenarios, the LJI-2 (including Standard, Sales and Global) requires the respondent to rate the appropriateness of various courses of action in responding to each challenge. The scenarios have been crafted from the principles underlying leadership theory and there is a single 'best fit' way to react to each scenario. The LJI-2 tests are comprised of a Personal Insight Report and a Technical Report, which have been updated and streamlined for easier use. The reports dovetail into both recruitment and development settings, catering for test takers and tests users with different levels of sophistication and need. Download the LJI Suite flyer here! 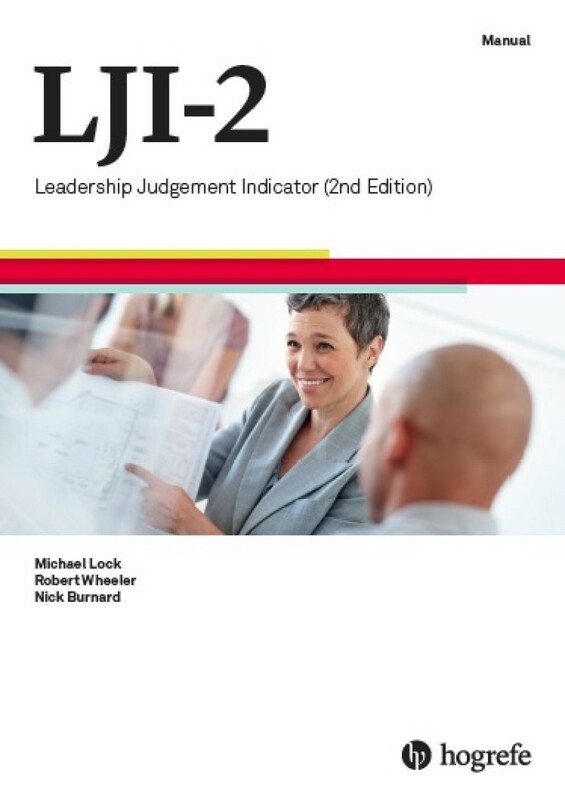 The advantage of the measurement approach used by the LJI-2 is that the respondent is being asked to actually demonstrate their level of leadership wisdom through the questionnaire. Responses are scored for correctness in terms of achieving desirable business outcomes in specific situations. The LJI-2 is in stark contrast to traditional assessment tools relating to behavioural style where respondents are asked to describe their typical ways of behaving (with a view to an assessment of how the individual is likely to behave most of the time). Such self-report approaches work well when the objective is to gain insight about an individual's self-concept and it is certainly the case that people tend to behave in ways that are consistent with their self-concept. The scenario-based approach adopted by the LJI-2 goes beyond the measurement of the typical or preferred style of a respondent - it sets out to assess how well that individual understands the importance of sometimes behaving against their preferred style. Aimed at high-level leaders in multi-national companies where English is the language of business – and using a globally assessed norm – the G-LJI is comprised of scenarios designed to resonate with corporations worldwide. The S-LJI has been designed to assess current and potential sales leaders who are or will be responsible for the motivation, effectiveness and success of sales teams. It allows for the assessment of a sales leader’s judgement and preferred styles when dealing with a range of decision making contexts. It benchmarks how accurately the leader can discern the most appropriate ways of engaging with colleagues, as well as the leadership strategies that they are likely to employ, against a reference group of sales leaders. Whilst the majority of the reference group consists of people working in the UK, sales leaders in 38 countries were invited to complete the instrument, including India, South Africa, Turkey, the USA, various countries in Europe, the Middle East and Australasia. The S-LJI has been shown to be a valuable test when used alongside the LJI in development settings. The use of one test early in the training process, and the other as a conclusion or evaluation at the end of a development intervention, has been well received by respondents.